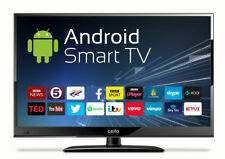 CELLO C20230FT2 HD READY LED FREEVIEW HD TV WITH COMBINED DVD PLAYER & USB. 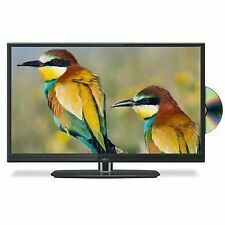 In addition to Freeview HD channels AND DVD PLAYER this model also has in-built USB that enables you to play music and movies from your USB device and can also record to it 1 digital channel. Built-in Digital HD Freeview Channels. 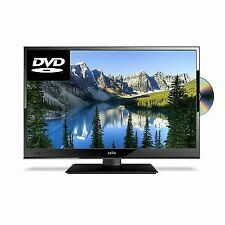 Cello C22230FT2 22” Full HD LED 12 Volt TV with Built-in DVD Player. HDMI input for your external devices and consoles. Supplied with 12v & 240v Power Leads. 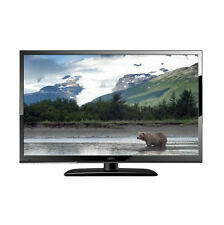 22” Full HD widescreen LED TV. 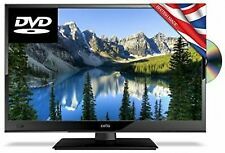 Cello 32" C32229T2 Curved LED TV HD Ready - Black. An unwanted present. The box has been opened in order to photograph the TV. The screen is still in cellophane the remote and manual still in plastic protection. The TV and accessories in brand new condition.. Box has a little wear and tear. Great looking curved TV 32". Stored in smoke and pet free home. PayPal or cash on collection. No returns on this item. Thanks for looking and happy bidding. 4K UHD Yes. 75 C75SFS4K LED TV. Compatible with VESA-wall mounting system 600 x 400 mm. USB 2.0 ports quantity 2. HDMI ports quantity 4. RF Input 1. • Brightness(TYP cd/m2): 200. Built-in Freeview T2 HD and Digital Freeview Channels. Digital Freeview DVB-T2 HD. Refresh 60Hz. TV Sound System. 50” Full HD widescreen LED TV. 4k Ultra HD TVs. TV Carry Cases. TV Cabinets. Digital FreeviewDVB-T2 HD. DVD PlayerYes. PowerAC100-240v – 50Hz/60Hz. Speakers2 x 8w Nicam/A2. T2 Hi Definition Freeview channels. Mpeg 4 H.264 Technology ( can receive Freeview in UK or Saorview in the Rep of Ireland ). Video Functions. During that process you will be issued with an RMA number. USB PVR Record feature. Next day delivery. LED Digital Colour TV. Built In DVD Player. High Quality Products at Great Prices. AND Personal Friendly Service Too! C43227FT2 V2. Freeview HD tuner. Freeview HD: Yes. Freeview: Yes. TVs > TV/DVD Combi. Full HD resolution. Integrated DVD player. Type: LED TV. Manufacturer Code: C43227FT2. Built-in Freeview T2 HD and Digital Freeview Channels. 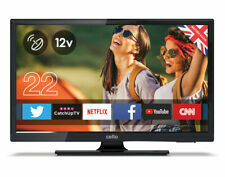 A stylish 43” Full HD LED TV with T2 High Definition Freeview that provides a stunning viewing experience. Tuner Freeview HD. Built-in Freeview HD and Digital Freeview Channels. 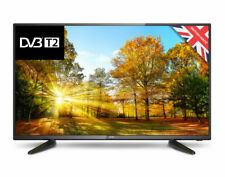 Enjoy Freeview HD channels with this 32?. Tuner Freeview HD. Refresh Rate 60 Hz. Built-in DVD Player DVD Player Built-in. Built-in DVD Player. TV Type LED. Freeview HD tuner. HDMI is perfect for connecting hi-definition external devices. Freeview HD: Yes. Freeview: Yes. USB playback and record. Manufacturer Advertised Refresh Rate: 60Hz. TVs > LED TVs. Type: LED TV.